If you visit our Harney level recording office, please pardon our dust! We are creating a more efficient recording system process for you. Diane, the Douglas County Assessor/Register of Deeds, and a lifelong resident of the Omaha area, has three children and six grandchildren. She is the first and only woman to lead two separate Douglas County offices—the Register of Deeds, and now, the combined Assessor/Register of Deeds. 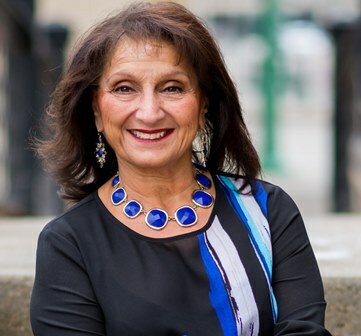 Diane also is a real estate broker, and owner of Battiato Real Estate. She has more than 30 years’ real estate experience. She holds the Nebraska Assessor’s certificate, the (IAAO) International Association of Assessing Officers’ courses 101, 102 and 300 certificates, and the CPO (Certified Public Official) designation from NACRC (National Association of County Recorders, Election Officials and Clerks). Diane’s mission is twofold—to continue her four-term success in maintaining the integrity of the county’s official property records, and to provide fair and equitable property assessments in Douglas County. Since her election in 2004 as the Register of Deeds, Diane has made many improvements in the office—internally, with more efficient recording procedures, such as electronic recording of land-record documents and online-searching access for the public, and externally, by increasing and improving customer service. Among her accomplishments in the Assessor’s office, Diane created a sales-validation team that identifies qualified sales, which are the only ones permitted for consideration in valuation calculations. Diane also expanded the office’s sales-market areas from six to 17 to better identify sales trends in smaller, more similar neighborhoods that might affect property value. of only 12 CPOs in the nation. council president—until moving back into Douglas County in October 2002.